Effective carbon pricing is a smart, fair, and expedient way to eliminate inefficiencies across the economy and motivate a general transition to resilient prosperity. Politics, however, slows the shift away from unaffordably risky habits that are also trusted and known. Here, we explore four ways policy-makers can move toward smart carbon pricing, even before any legislation is introduced. In Marrakech, the work of implementing the Paris Agreement moved forward in important ways. 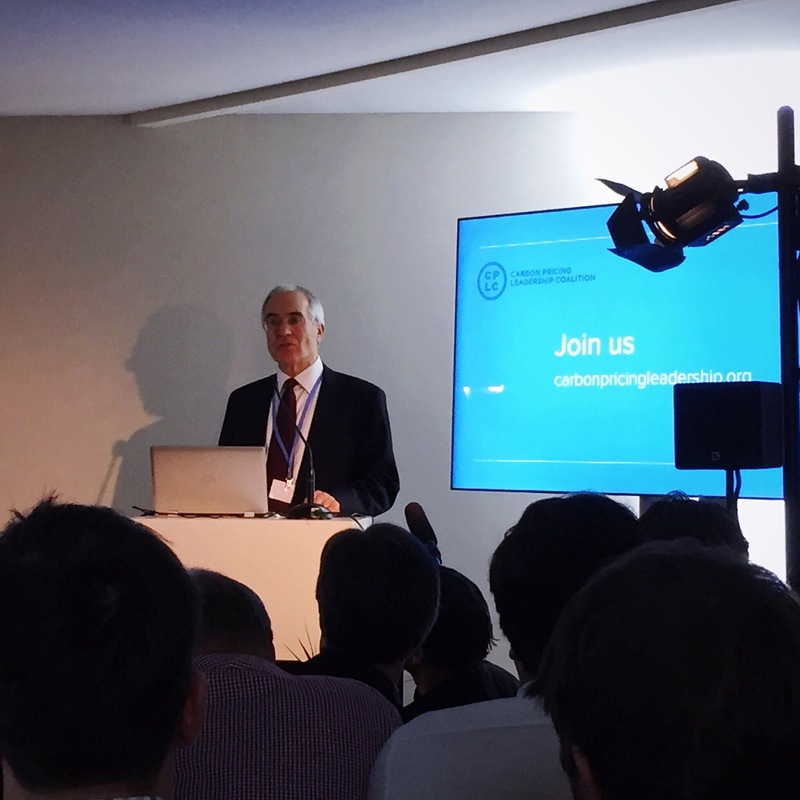 The Carbon Pricing Leadership Coalition and the World Bank are supporting a new High-Level Economic Commission chaired by Lord Nicholas Stern and by Nobel Economics Laureate Joseph Stiglitz. The commission will study critical questions relating to innovation and deployment of optimal carbon pricing solutions, to ensure at least 50% of global emissions will fall under intensifying carbon pricing policies—supporting global action—by 2025. There is going to be a real need to think about how different policy mechanisms “talk to each other” without necessarily expecting trading to be the language. There was a lot of talk in Marrakech about needing to support jurisdictions that want carbon taxes, or that are simply not technically able to execute cap and trade, and to facilitate their “interlinking” and “policy alignment” in ways that strengthen the capabilities of each jurisdiction. There is an escalating need to identify ways to substantively link carbon prices operating in economies that use entirely distinct forms of carbon pricing. For instance, how to connect an ETS, a carbon tax, a baseline-and-credit system, and a fourth jurisdiction where all carbon pricing is indirect, operating through regulation and innovation incentives? Enhancing administrative and market transparency, outside of carbon pricing, will provide crucial added value for putting serious carbon pricing into effect. It is clear there is a real and functional need for jurisdictions without deep experience in macroeconomic policy management to not only mobilize for new kinds of more detailed macroeconomic policy planning in terms of getting prices right, but also to understand how the best possible long-term fiscal infrastructure outcomes can accrue from use of revenues… rate reductions versus dividends, versus targeted investment, etc. Where some jurisdictions may find it most effective and efficient to pool carbon pricing revenues into funds targeted at motivating investment in clean energy technologies, others may find it more useful to return revenues to local businesses through tax credits or to households in the form of monthly carbon dividends. Increasingly, the discussion surrounding climate finance is about moving the entire financial sector off of harmful practices. Major US banks have been talking about 1/12 of annually traded bonds being $1 trillion, and aiming for that as a first step toward full “scrubbing” of the financial sector. How can optimally deployed carbon pricing policies, across an increasing number of jurisdictions, catalyze the maximum possible flow of clean investment? Investment in the clean energy revolution and its attendant wave of breakthrough innovations in technology, efficiency, and new and networked business models, is the biggest investment opportunity in world history. We can more easily move flows of new and redirected finance to this opportunity with optimized carbon pricing policy design, prioritizing macrocritical resilience in reporting standards and investment choices. Increasing attention seems to be moving to the G7 and G20 commitments to shift away from “wasteful fossil fuel subsidies” (the key word being “wasteful”, which leaves very much open the question of what % of FF subsidies would be targeted). This part of the overall price signal provides hard numbers with which to talk about each of the 3 above items, in concrete ways. IMF research shows energy subsidies—most going to climate-forcing fuels—may be as high as $5.3 trillion per year, globally. An optimally outlined shift of these incentives to low-carbon technologies and business models would eliminate the “negative carbon price” that is currently distorting global markets for energy investment, and greatly enhance the ability of policy-makers to get prices right and achieve the “completeness, comparability and consistency” standard laid out in Article 4 of the Paris Agreement. Each of the above areas of action will lend added momentum to carbon pricing across the world. Getting the analysis right, to ensure policy-makers and investment managers can see the landscape of risk and opportunity with added clarity, will be critical to ensuring we achieve the optimal investment transition.